The front of AT&T Stadium prior to the 2018 NFL Draft. 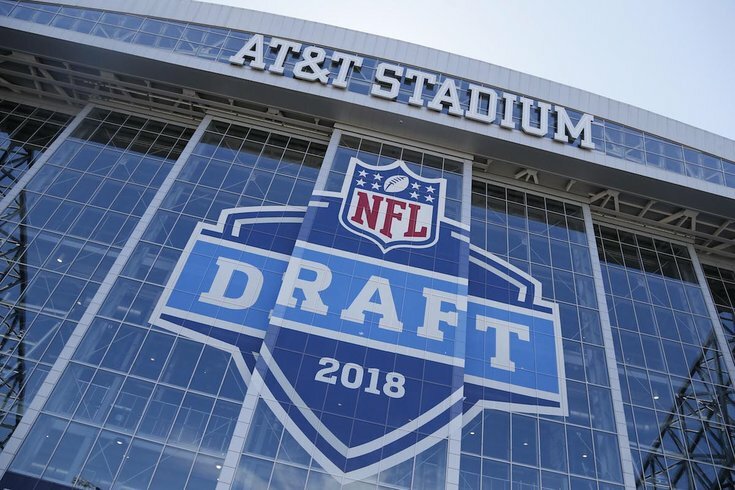 You haven't paid as much attention to the build-up this year, but the 2018 NFL Draft is here, so wake up, lock in, and get ready. It's go time. Here's a roundup of over 20 analysts, and who they think the Eagles will take with their first round pick. Earlier in the week, we took our best shot at what we think the Eagles' top 10 options are in the first round. Will the Eagles trade out of the first round? Make a pick? If so, who will it be? Will they trade a player already on the roster? Will someone troll the Dallas fans? Join us here to discuss.